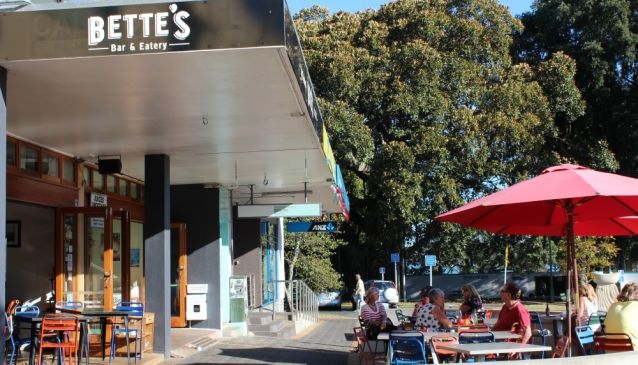 Bette's Bar and Eatery is a short stroll from the Devonport ferry terminal on Victoria Road. The casual bar is a mixture of french styling from the 50's with a modern twist. With only a 12 minute ferry crossing from Downtown Auckland, Bette's takes advantage of the seaside setting with an outdoor dining area which is a perfect spot to enjoy the quaint setting of Devonport. The menu offers casual bar and cafe offerings with an emphasis on dishes that are designed to be shared. Bette's is a place to enjoy a cup of coffee under the sun, enjoy a light bite for lunch or a late evening cocktail. Monday to Sunday: 11.00am - late.